This article incorporates one written by John M. Carroll published in the Dictionary of Hong Kong Biography. The publisher, HK University Press has given permission for this to be posted here. Chow Shouson, Sir Shouson Chow 周壽臣, original name Chow Chang Ling 周長齡, JP (1917), Knight (1926), Hon LLD (University of Hong Kong, 1933) b. 13 March 1861, Wong Chuk Hang, Hong Kong; d. 23 January 1959, Hong Kong. Businessman, community leader. Chow Shouson came from an old family that had originally settled in Kowloon some 200 years before the British occupied Hong Kong. His grandfather had helped the British post Charles Elliot’s famous proclamation that Hong Kong would be a free port and its Chinese residents would be allowed to retain their customs and religious beliefs. His father was compradore to the Canton and Hong Kong Steamship Company, based in Canton. In his later years Chow, an affable man with a good sense of humour, frequently joked that his ancestors had been pirates in Hong Kong well before the British arrived and that, unlike the Eurasian Robert Ho Tung and his brother Ho Fook, he was full-blooded Chinese. Chow received his early education at the Central School (later Queen’s College). In 1873 he was selected by the Chinese government as one of the first Chinese pupils to study in the USA. As a member of the Chinese Educational Mission, he was educated at Phillips Academy in Andover, Massachusetts, and then at Columbia University, New York, until the government recalled the mission in 1881. Like many members of the aborted study mission, Chow went on to distinguish himself in various diplomatic and commercial positions: Chinese Consul in Inchon, Korea; managing director of the China Merchants Steamship Navigation Company in Tianjin and then of the Peking-Mukden Railway; customs superintendent of Niuzhuang (now Yingkou); and secretary in the Board of Foreign Affairs. Chow returned to Hong Kong after the Republican Revolution in 1911. Although by then he was already 50 years old, Chow quickly immersed himself in local commercial and industrial affairs. In 1918 he helped found the Bank of East Asia of which he became the second chairman. He was director of many firms and corporations, among them Hongkong Electric Company, Hongkong Telephone Company, Hongkong Tramways, A.S.Watson’s, Hongkong and Yaumati Ferry Company, China Entertainment and Land Investment Company, China Emporium, International Assurance, Hong Kong China Realty and Trust, and Nanyang Brothers Tobacco Company. 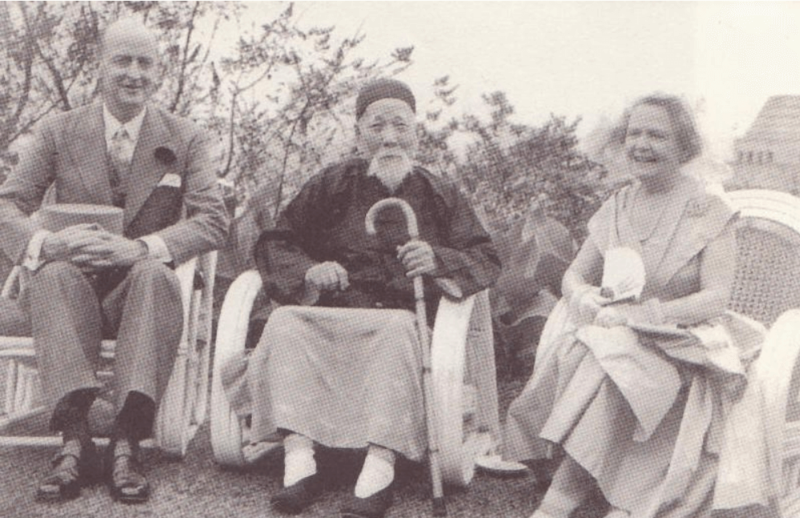 A respected leader of Hong Kong’s Chinese elite, Chow was permanent advisor to the Tung Wah Hospital, Po Leung Kuk, District Watch, and Public Dispensaries committees, and was involved in orgainsations such as the Hong Kong Society for the Protection of Children, and the Chinese Mission to Lepers. He was also a member of the League of Fellowship, founded in 1921 by leaders of Hong Kong’s foreign and Chinese communities to ‘Promote good fellowship within the Colony, irrespective of race, class and creed’. An unofficial member of the Legislative Council (1921-26), Chow was known for trying to protect Chinese customs and traditions and for urging the colonial government not to tolerate strikes and boycotts. He opposed the government’s attempts to end child labour in factories and the mui tsai system of female bond-servitude (though in 1923 he voted in favour of a bill restricting the system). When in 1918 the Secretary for Chinese Affairs proposed to ban mah-jong, Chow and several other Chinese justices of the peace disagreed on the grounds that mah-jong was the most popular leisure activity among the Chinese and that a ban would fail to differentiate between legitimate social clubs and dens of iniquity. During the seamen’s strike of 1922, he and Lau Chu-pak, the other Chinese unofficial member of the Legislative Council, insisted that the strike was politically inspired by Bolshevism rather than economic in origin. Chow urged the government to stand firm. During the general strike and boycott of 1925-26, Chow and Robert Kotewall played a critical role in helping the colonial government combat the strike by leading an intensive counter-propaganda campaign. They set up the Counter-Propaganda Bureau, the Kung Sheung Yat Po (Commercial and Industrial Press), and the Labour Protection Bureau, a secret organisation aimed at protecting labourers from intimidation. Chow recommended a range of possibilities for ending the strike, from using military force against the revolutionary government in Canton to recognising the Canton regime. Although Chow and Kotewall were frequently branded in Hong Kong and Canton as ‘running dogs’ of the British imperialists, they considered working with the colonial government against the leftist Canton government as a sign both of their loyalty to Hong Kong and of their patriotism to China. In 1928 Chow supported the founding of the Chinese Studies Department at the University of Hong Kong, partly in an attempt to save Hong Kong from the radical anti-Confucianism that had engulfed China since the May Fourth Movement. For his services during the strike Chow was knighted in January 1926 at the same time as Governor Cecil Clementi. Conducted in Government House by the Duke of Kent, the investiture was the first in Hong Kong to be made by a member of the British Royal Family. In July 1926 Clementi nominated Chow as the first Chinese member of the Executive Council. Chow’s appointment, which represented a major shift in local colonial policy and was approved only with great reluctance by the Colonial Office was designed to dampen anti-British feelings and to encourage continued loyalty among the Chinese who had supported the Hong Kong government during the strike. Chow retired from the Executive Council in 1936. In 1937 King George V granted him the privilege of retaining the title ‘Honourable’ for the rest of his life; he was the first person in Hong Kong to receive this distinction. In the same year he also received honours from the Chinese leader, Chiang Kai-shek. During the Japanese occupation (1941-45) Chow served on the Chinese Representative Council and the Chinese Cooperative Council, the two organisations established by the Japanese to control the Chinese population. He was also head of the Police Affairs Committee. Chow was one of the two main guests of honour (the other was Kotewall) at a lunch held by Lieutenant General Sakai Takashi at the Peninsula Hotel in January 1942, where he endorsed Kotewall’s pro-Japanese sentiments. Although Chow and other local leaders came under attack after the war for collaborating with the Japanese, perhaps because of his age Chow was not criticised as much as Kotewall. Colonial officials later testified that they met secretly with Chow and Kotewall shortly before the fall of Hong Kong in December 1941, requesting that the two cooperate with the Japanese to protect the interests of the Chinese community. As Chow’s obituary in the South China Morning Post noted, ‘Sir Shouson had the distinction of serving under three Manchu emperors and five British sovereigns.” His long life saw a distinguished political and commercial career that earned him honours and awards from a range of governments. During the Russo-Japanese War of 1904-05, he was awarded the Medal of Brilliancy Fourth Class by Japan Meiji Emperor. He was heavily decorated by the Qing government and continued to receive honours from the successive Republican Chinese governments after the Qing dynasty fell. He was awarded the King George V Silver Jubilee Medal in 1935 and the King George V1 Coronation Medal in 1937. As unofficial member of the Legislative and Executive Councils, Chow served eight colonial governors. He was also honorary advisor to several Republican Chinese leaders, including Hu Hanmin, Chiang Kai-shek, and Wu Tiecheng. In May 1949 he received an autographed photograph of Mao Zedong, apparently in honour of his service to Hong Kong and China. This article was first posted on 7th February 2019.